Police Minister Bheki Cele has called on police to work harder on the case of Thoriso Themane’s killing. The 27-year-old was brutally attacked, allegedly by a group of teenagers at Flora Park in Polokwane last weekend. He died in hospital. The attack was recorded and the video went viral. Nine people have been arrested. Speaking at Themane’s funeral at the Jack Botes Hall in Polokwane, Cele questioned the age gap between the arrested suspects. “Nine people have been arrested. Six of them are between 15 and 16. The latest arrest, is a 36-year-old. I am trying to find the link between the teenagers and the 36-year-old. The General and Deputy National Commissioner must profile these cases very well and find the answer. We must profile this case very well and profile their activities,” says Cele. Meanwhile, Themane’s parents and two siblings have paid an emotional tribute to him at the funeral service. Relatives read out messages from the parents, Pastors Johannes and Maria Themane. They have expressed how the brutal death of their son has deeply saddened and traumatised them. 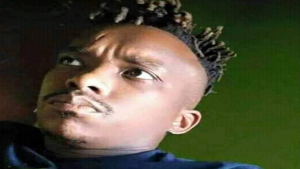 The post Police urged to work harder on Themane murder case appeared first on SABC News – Breaking news, special reports, world, business, sport coverage of all South African current events. Africa's news leader..